Although I despise leaks of information derived from U.S. signals intelligence (SIGINT), there was reason to smile this week. According to intercepts of terrorist "chatter," al-Qa'idah operatives in Pakistan have been ordered to leave Pakistan and move to the remote and lawless areas of Yemen and Somalia. The Pakistani government's efforts to take on the Taliban (al-Qa'idah allies) in the Swat Valley and even into the Federally Administered Tribal Areas (FATA) are coming too close to al-Qa'idah's hideouts. The order makes sense. For al-Qa'idah to survive, it must be in a permissive environment. The FATA provided just such an atmosphere. The Pakistani government, by law, does not exercise complete sovereignty in the area. The Pushtun tribes, allied with al-Qa'idah since its creation in 1988, have provided protection in Pakistan. Many of these Pushtuns are former mujahidin that fought alongside the Arabs against the Soviets in Afghanistan. Al-Qa'idah has not had much success since it awakened the United States with its attacks of September 11, 2001. It operations against the United States prior to 2001 - the first attack on the Workd Trade Center in 1993 and the attacks on the American embassies in Kenya and Tanzania in 1998 - were met with half-hearted and ineffectual responses. September 11 changed all that. 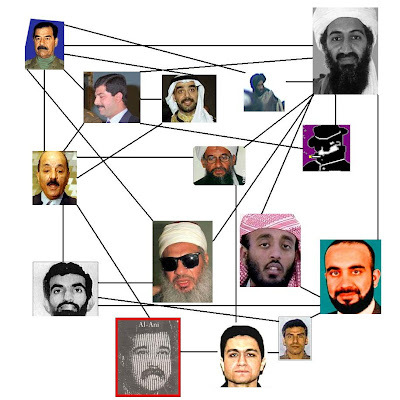 Although the United States armed forces and intelligence services have not captured or killed Usamah bin Ladin, they have severely crippled tanzim al-qa'idah - "The Base Organization." It has been removed from Afghanistan, although the Afghan Taliban remains a threat there. Its attempt to take on the United States in Iraq has been defeated - the remnants of the group, including Iraqis who have joined the organization, are being hunted down by Iraqi security forces. From Iraq, the group attempted to regroup in Saudi Arabia and began attacks on Saudi oil infrastructure and foreign workers. The Saudi royal family, content to just watch events in the region as long as their interests were not threatened, went after al-Qa'idah in the kingdom with a vengeance and efficiency that only autocratic governments can. After about a year of devastating losses, the surviving al-Qa'idah members were told to move to Yemen. Now we see al-Qa'idah departing Pakistan. About the only places left for them to operate safely are Somalia and Yemen. Somalia is basically a non-state, and despite the Yemeni government's protestations that it is a U.S. ally in the war on terrorism, it does not control a good portion of the country. The areas that the government does control are not much better - it is one of the most corrupt regimes on the planet. What of Usamah bin Ladin? Most analysts believe he has been in Pakistan since late 2001 after his escape from Tora Bora - conveniently arranged by his Pushtun allies and their centuries old traditions of payoffs and perfidy. Will he also move to the more permissive atmosphere of Yemen or Somalia? We hope he moves - maybe we can hunt him down and kill him there. In any case, his organization is in shambles and he is forced to hide in remote areas. Not exactly the caliphate he envisioned. A few words about the SIGINT leaks. This is damaging to our ability to fight the war on terrorism. Whatever communications systems were used to transmit the orders - be they email, telephone, cell phones, texting, satellite phones, shortwave radio - have certainly been changed or terminated. The beauty of SIGINT is that the party being intercepted does not know the information has been compromised - unless someone leaks the information. Usually it is a Congressman or staffer wanting to show off how much access to secrets they have. They do not realize the damage done. The same thing just happened in North Korea. News reports of intercepted communications revealing military orders and intentions have certainly ended that source of intelligence for the future. Short sighted and dangerous.